Almost everyone has gone through the dilemma of constantly repeating their sentences while talking to somebody on their microphone, especially when over the internet. This can be quite annoying for both persons, as it is a constant interruption and spoils the whole conversation. Even if your wave is great, sometimes you can still hear static. The only way to solve this issue is to use noise canceling microphones that cancel the background noise without affecting the quality of your voice. This helps the other person to hear you well, loud and clear while completely eliminating the disturbances in the background. Here, we have reviewed the top five of the best noise canceling CB microphones that are available in the market. All of these CB microphones are all ideal for using as CB microphones and do a great job of reducing the noise from the background. All of them are priced quite economically and are handy, strong and durable. Moreover, all of these are quite popular with customers and have a star rating of four and above. Astatic 302-636LB1 is a fairly popular brand, and one of the best noise canceling microphones in the market. It has a very strong and sturdy design with a polyurethane coating of steel grille in a rugged housed design. Not only is this a great looking mic, but also performs as per the expectations. It is equipped with a great noise canceling sound quality and provides a superior sound quality, single side band and amateur options,and these astatic microphones are made in such a way that they surpass all stock mic options. Most of the customers who use this mic were quite satisfied with the flawless communication and did not experience any disturbances. The majority of the users gave this mic a high star rating and recommended it. With its user- friendly packaging and installation and operations, it is definitely worth buying! 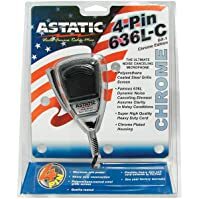 ASTATIC 302-10187 is the ideal choice if you are looking for a great noise canceling microphone that is in chrome and great in performance. It is equipped with a voice-canceling microphone that has a four pin. Moreover, it has a sturdy and strong construction of polyurethane steel grill in a rugged housing which makes it long lasting and durable. It is also quite simple to set up and easy to use. This microphone is a great sounding one as well with a clear sound quality that is sharp and free of disturbances. The sound is also loud, clear and disturbance free on the other end as well. This product was generally well liked by most customers and they praised its ability to provide the users with clear, hassle-free and uninterrupted communication facility. 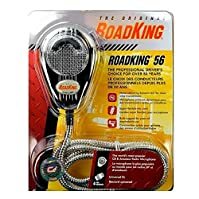 RoadKing RK56CHSS Chrome is one of the best qualities of microphones, which makes it an ideal choice for you if you are looking for a microphone for noise canceling. It provides a clear and loud sound quality for the user and at both ends. The frequency response is around 100hz-8khz. Moreover it is from the well-known brand name Roadking that are known for their reliability, durability and quality products that are long lasting. This microphone is also made of good quality materials and provides a sturdy and strong design and style. This product has been considered to be great value for money by most of the customers who praised it for being high quality, durable and functioning well in terms of providing noise-free communication. ASTATIC 302-10001 is the ideal choice for you if you are looking for a sleek style microphone that has the features of noise canceling and is also affordable to buy. It is easy to use with simple instructions and is also quite long lasting and durable. Most of the customers who use this microphone were quite happy with the performance and commented that it provides crystal clear voice quality. Ranger SRA-198 Ranger Ham Radio is a great and a useful device that helps communication by providing crystal clear voice quality. It is a great looking design in black and made by Ranger which is quite a well known brand known for their great quality and long lasting products. 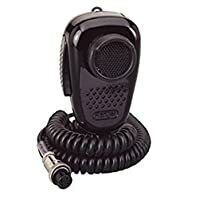 Most of the customers who used this radio commented that they found it easy and simple to use and recommended it based on its durability and simplicity. Noise canceling microphones are ideal for those people who use it mostly from their cars or from any other similar location. All of the above-mentioned CB microphones are great in their own way when it comes to performance, quality and durability. It is however up to the users to decide which would be the most compatible with their radio or with their own unique requirements. 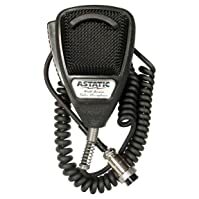 Overall, The Astatic 302-636LB1 microphone has been the most popular one with the customers with the greatest amount of stars and positive customer feedback. It tops in performance and being able to provide flawless communication options.